The state-owned Gas Authority of India (GAIL) wants to renegotiate a deal for supply of liquefied natural gas with Russia’s gas major Gazprom over pricing issues, the news agency Reuters has reported. India’s state-owned Gas Authority of India Limited (GAIL) is seeking to renegotiate a contract with Gazprom for supply of liquefied natural gas (LNG) and defer most of the supplies, reported Reuters, citing the sources familiar with the deal. 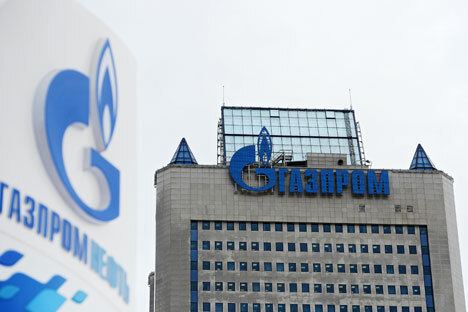 A subsidiary of the Russian gas holding Gazprom Marketing and Trading, Singapore signed a legally binding 20-year contract for the sale of LNG with GAI at the beginning of October 2012. The agreement states that GAIL will get 2.5 million tons of LNG per year (equivalent to 3.5 billion cubic metres per year) for 20 years. According to Reuters, at current prices set by "Gazprom", LNG will cost GAIL $7 per million British thermal units, while LNG is worth $5 in the spot market. According to the source, this is a big difference for such a price sensitive market as India. This has driven a wedge between the supplier Gazprom Marketing and Trading and GAIL, industry sources told the news agency. As part of the agreement, deliveries were scheduled for 2018-2019. The LNG price is tied to the price of oil, which is growing, while gas prices are expected to continue to remain at a low level. And the launch of new production facilities in Australia and the United States are conducive to this. GAIL is seeking a meeting with Gazprom representatives to discuss details of how the transaction can be amended and review the LNG prices, said a source familiar with the situation. Under the agreement, Gazprom had to supply GAIL with gas from the Shtokman gas condensate field, whose development is frozen, sources said. Now the company is going to source gas from various sources, including gas from the "Yamal" project in the Barents Sea. "The Indians want to postpone a large part of the supply, and the negotiations are focused on this. They have undertaken excessive commitments," Reuters reported, citing a Gazprom source, who also said Gazprom LNG is not the most expensive in the GAIL portfolio.